You are what you eat – it’s that simple. But changing old habits can be, well, not so simple. The first step is deciding it is time to change! With all the fads and gimmicks and professed overnight miracle pills out there, the truth is, sustainable, consistent weight loss is made up of small behavior changes, with moderate losses, over a period of time. It is about science: How having a toxic body makes it hard for your brain to make good decisions, how hormones affect the way your body processes food, why your body “craves” the foods it does, and the role stress has on your entire body. It is time to eat mindfully – give your body the rich nutrients your heart and brain need to function for many years to come. 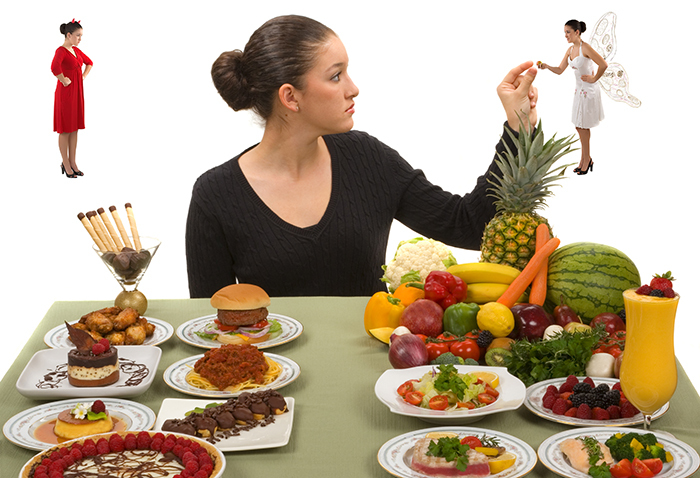 It is so confusing: What should I eat and when? Is this program safe? Will it work? Will I lose actual body fat? As a NASM Certified Weight Loss Specialist, I can customize meal plans to help you meet and exceed your weight loss goals. First, I will gather information about you and your goals: What medications you are on; what you’ve tried before – what worked what didn’t; what your commitment level is; what is your motivation; any food allergies you might have; what foods you like; what foods you crave; how much weight you reasonably expect to lose each week; and how quickly you want to lose the weight. Are you willing to track what you eat and drink, using either a mobile device, or on the computer, or writing out in a journal? People who track their food and drink consumption are far more successful than those who don’t. Once we have gone through this assessment process, then together we will agree on a plan of success for you! In addition to eating the right foods and proper exercise, the use of essential oils throughout your day can support your body both physically and emotionally. For instance, Grapefruit Oil can be a natural appetite suppressant, and Ginger can help to ease a queasy stomach. 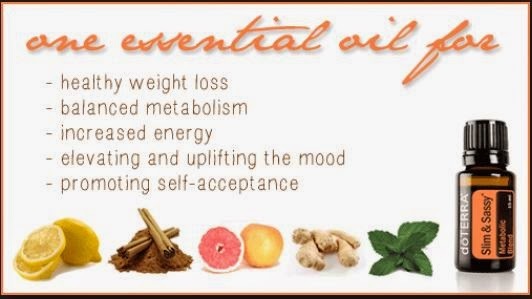 Oils can be used to promote a healthy metabolism and lift your mood (without any added calories). Oils can be diffused into the air you breathe, or rubbed or massaged onto your skin directly, or taken internally (if they are of a Certified Pure Therapeutic Grade). Certain oil blends (like doTERRA Slim & Sassy) contain Grapefruit, Lemon, Peppermint, Ginger and Cinnamon all together making losing the weight even more convenient. And oils such as Lavender, and the Serenity Blend can help reduce stress. Recommended Supporting Products: doTERRA Slim & Sassy Metabolic Blend (comes in the Essential Oil, and Appetite Suppressant drink mix called “Control Instant Mix” and also “Control Bars”), doTERRA Peppermint Beadlets, Grapefruit, Oregano, Thyme, Wild Orange, Lemon, Joyful Blend called Elevation, Lavender and Serenity Blend.